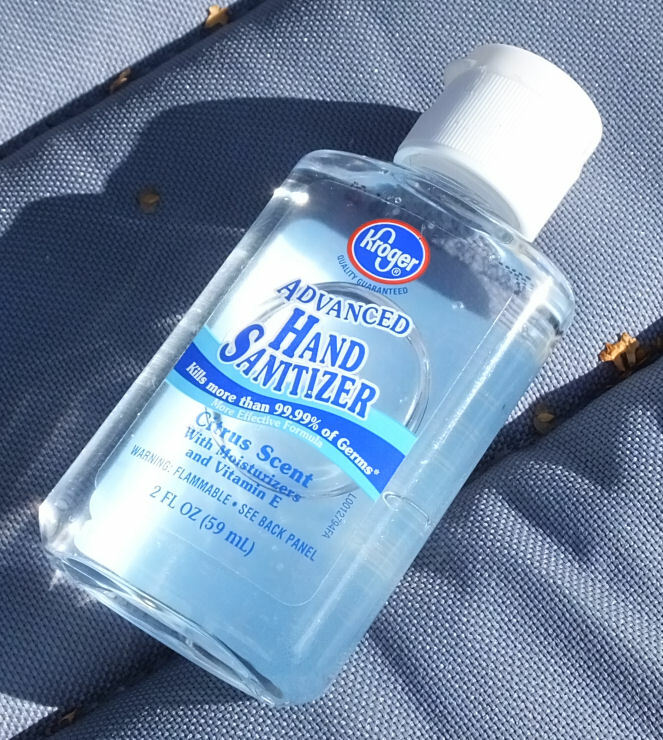 Time for back to school, or you might be like me and find it sometimes helpful to have a small bottle of hand sanitizer available. This was designed for a store brand sanitizer- Kroger to be specific. This crochet pattern might need modification for other bottles to make it fit, but since the only shaping is in the neck area, it should be easy to adjust. Take the ring off your carabiner and slide it on to the main color yarn, push it up out of the way. Round 13: Ch 3 (counts as first stitch), dc in next stitch, slide the ring down and around the hook and stitches so it's hanging freely from the ch and dc, sc in next st, sc in each st around, sl st to top chain to join. Join in accent color 2 stitches before the last stitch of the previous round. Row 10: Ch 1 to turn (does not count as first stich),sc in same stitch, sc in next st, ch 2 loosely, skip 2 sts, sc in next st, sc in next st. Put the bottle in the pouch, and pull flap over the bottle, mark where the button will go, and stitch button into place. Put carabiner on split ring and attach to backpack. The nice thing about this is that it's easy to take the bottle out to refill or replace it, and you can make it in any colors. So you can match for school spirit, or you can use your favorite colors. Acrylic yarn makes it washable. This is the bottle I used. What a clever idea! Besides coloring, I also like to knit and crochet. 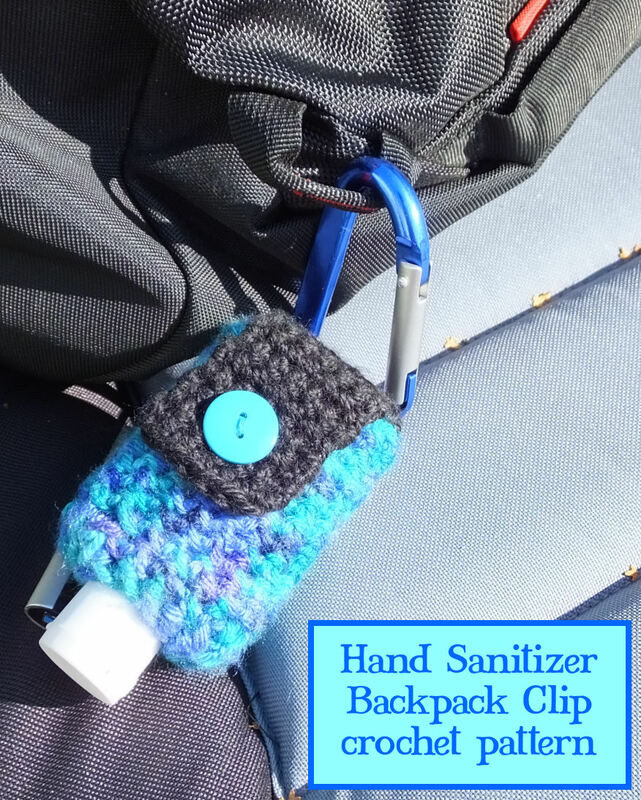 I could definitely use something like this little hand sanitizer holder. I've printed out your pattern to try myself. Thanks, Shala, for sharing this! I think I'm going to have to start following you by email so I can keep up with all of your posts.